An image from "Love and Bananas," which will be screened at the 2019 Philadelphia Environmental Film Festival. The third annual Philadelphia Environmental Film Festival will take place Friday, April 5, through Sunday, April 7, at the Philadelphia Film Center in Center City. You can view the full lineup of films here and the festival's schedule here. There's a lot to see, so we highlighted five of the 2019 standouts below. Tickets to each program (there are 13 and each include multiple films) are $12, or $5 for students and children. A weekend pass is $38. Also, new for 2019, guests can check out a virtual reality experience in the theater's lobby. It takes visitors on a 10-minute journey through Northern Kenya, where they will stand in the middle of a wildebeest migration and go nose-to-trunk with a baby elephant. 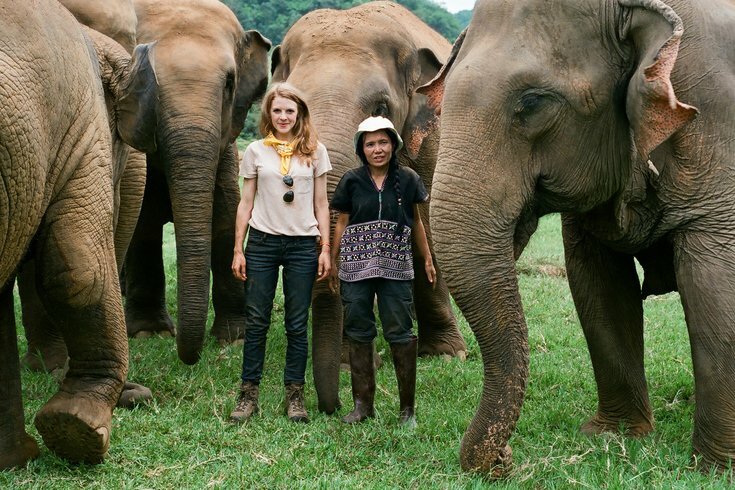 Synopsis: A team of rescuers embark on a daring 48-hour mission across Thailand to rescue a captive Asian elephant. Synopsis: In the 1960s, five young scientists explored some of the most remote and spectacular places on the planet. Their surprising discoveries changed our understanding of nature. Synopsis: Follow renowned environmental photographer James Balog as he explores wildfires, hurricanes, sea level rise, a struggling coal mining community and our changing air supply. Synopsis: "Queen Without Land" is a true story told over four years. As the ice in Svalbard, Norway, is melting at record speed, a mother polar bear and her cubs fight for survival. Synopsis: In this thrilling film the late filmmaker Rob Stewart exposes the illegal shark fin industry which is leading to the extinction of sharks.